FROM the ashes of Semakau landfill, a new eco-park will rise. The National Environment Agency (NEA) is seeking ideas for its brainwave to turn Singapore's first offshore landfill into a test bed for renewable energy technologies and a place for 'green' recreational and educational activities. Eventually, Pulau Semakau will be self-sustaining, meeting all its own water and energy needs, according to a document posted on the Government Electronic Business website. An NEA spokesman said it was 'premature' to reveal further information as the agency is still evaluating tenders for consultancy services to the concept plan. The area proposed for development would be about 90ha of the 350ha Pulau Semakau. Created by connecting two small islands, Pulau Semakau started operating as a landfill in 1999 and contains ash transported there from Singapore's incineration plants. It is clean and scenic, and has been open to the public for recreational activities since 2005. Energy researchers welcome its use as a test platform not always possible - especially for the private sector - on limited and expensive land in Singapore. Being near the sea, one possible use would be the creation of biofuels by cultivating marine algae as seed stock, suggested Mr David Liang, vice-president of technology and commercialisation at the Institute of Environmental Science and Engineering. Another renewable energy source which could be researched and developed on the island is solar energy, said Dr Jiang Fan, manager of the Technology Centre for Clean Energy at Singapore Polytechnic. Building and testing systems for solar energy can take up a chunk of space. For example, a new 46.8 kilowatt- peak solar photovoltaic system that the polytechnic is planning to install will consist of 12 different types of photovoltaic modules and will take up 480 sq m.
Zero-emission vehicles, like electrical cars and fuel-cell cars, could also be tested in the eco-park where charging stations based on renewable energy sources can be set up at lower cost. Singapore Environment Council executive director Howard Shaw welcomed the idea of turning a landfill into a productive showcase for the environment. But he added that monitoring and adequate measures would need to be continued to minimise risk of leakages from the landfill site. Dr Ho Hua Chew, who chairs the Nature Society of Singapore's conservation committee, also noted that the plan 'must include ways and means to protect or enhance the habitat of the natural biodiversity'. Pulau Semakau is home to rare tape seagrass, which grows along its shores, and replanted mangroves. It is also a favoured spot for birdwatching. The proposal states that care should be taken to minimise impact on the existing eco-system. Based on the schedule in the document, the final masterplan for the development is likely to be rolled out by the end of next year. 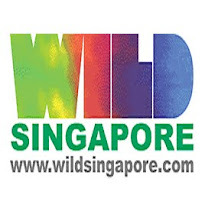 More about Pulau Semakau and current activities there on the wildsingapore website. Photos of Pulau Semakau's living shores on wildsingapore flickr.